The 1920’s were a decade that had great impact on perfumes and perfume use. In fact, this decade produced some of the most important perfumes of the entire century. 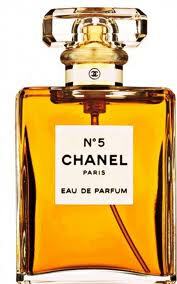 One significant trend was that fashion designers started to sell perfumes under their clothing brands, the most legendary one (and quite revolutionary at the time) of course being Chanel No 5, released by Chanel in 1921. Even the bottle was a bold zeitgeist statement with a bottle design far from the ornamentation associated with feminine things. It was simple, bold and unquestionable. Bottle designs and the visuals around the fragrances were extremely important and often flirted with contemporary life style. There was the mascerade theme… Masque Rouge, for example, was introduced in a modern bottle, and a box with a red mask. “Mascarades” by Cherigan came in a black bottle with a golden face under a rain of gold dust and gilded triangles. Baccarat were extremely popular for bottles because of their superior quality crystal. Shalimar. A fragrance that, for me, just basically sums it all up. All of it. 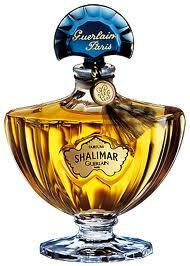 Shalimar was created by Jacques (I feel this name keeps reappearing in my perfume-life) Guerlain in the early 1921 but it was in 1925 that it had its breakthrough, at the Exhibition of Decorative Arts in Paris where it was an instant success. The fragrance is named after the Garden of Shalimar in Lahore, built by emperor Shah Jahan for his favorite wife, Mumtaz. (Also the woman that Taj Mahal was built for…). Shalimar means the ‘Abode of Love’ in Sanskrit. The sweet vanilla creation mesmerized its first discoverers. Oh…how I wish I could have been there. Can you imagine? Being one of the first women to put Shalimar on your skin? The 1925 bottle was designed by Raymond Guerlain and made by Baccarat. Shalimar had a bit of a comeback in the 1980’s. It was relaunched in a new bottle in 1985 to commemorate the 60th anniversary. This was followed by the addition of Shalimar Light in 2004 which was replaced by Eau de Shalimar in 2008. Shalimar is currently made as Shalimar Extract, Eau de Parfum, Eau de Toilette, Eau de Cologne, and as a Fleur de Shalimar Edition. Shalimar contains bergamot (top), lemon, jasmine (heart), rose (heart), iris (heart), opopanax (heart), tonka bean (base), and vanilla (base). It is an oriental perfume, which is also according to what was fashionable at that time – an era seduced by its own interest and fascination for things exotic. Other famous fragrances from these years are Arpège, created by Jeanne Lanvin for her daugter’s 30th birthday and of course Jean Patous Joy. Joy was created with the intent to send a message to the heavy cynical Great Depression-attitude that Patou described as dominating society. He asked Henri Almeras to create something using Bulgarian rose and jasmine from Grasse. The result that Almeras presented to Patou was sensational, but Almeras was worried that the ingredients were too expensive for the fragrance to have success on the market. Joy became the most expensive perfume in the world, and a huge success. It is also the perfume supposedly worn by Josephine Baker.